Are you still staring at one of these in your living room? 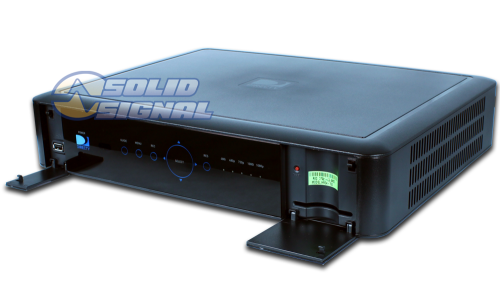 DIRECTV’s HR34 Genie DVR was the top of the heap in 2012, and I raved about it back then. Things change, and if the DVR in your home is sitting there after 4-5 years, it’s time to think about a new one. The big advantage right now is speed. DIRECTV’s HR44 and HR54 DVRs are much, much faster than the HR34 and you’ll see the difference when you go into menus, change channels, and especially when you reboot, which I’m willing to guess you’re doing a lot more of these days. The people I know who still have the HR34 Genies have noticed they’re not only getting slow and pokey but less reliable. They’re having to be reset far more often (although to be fair, “far more often” means more like once a month instead of once a year.) When you reboot an HR34, it’s best to go out to dinner — it can take up to 20 minutes for even a routine reset, even longer if new software loads. The newer DVRs will usually have you up and running in about 3 minutes, but then again they rarely need a reset. The newer DVRs are also much quieter, much smaller, and use much less energy. The HR54 Genie, which is the current top of the line, can receive and record 4K broadcasts, which may not seem interesting to you now but it’s definitely something for the future. You’ll get advanced, interactive experiences, too, and of course all the good stuff that you like about your current Genie like being able to record five things at the same time and store about 200 hours of HD programs. If you call my friends over at Solid Signal at 877.312.4547, you might find yourself in for a nice surprise — if you haven’t upgraded your system in over two years you may be eligible for a free upgrade. Yeah there are terms and conditions and all that, I’ll let them explain that to you. But the bottom line is that you could be enjoying the best, newest hardware DIRECTV has to offer at no cost to you! When you call for an upgrade, we’ll send you a new DVR that connects right where the old one was. In most cases, DIRECTV will send a recovery kit so you can send back the old one and not worry about recycling it. In some cases they don’t bother because the hardware is so old, and in that case you just have to recycle it locally. There’s no reason to suffer with an aging DVR any more. It’s time to take advantage of everything DIRECTV has to offer!